Lavender essential oil is kinda like the "all purpose cleaner" of essential oils. It has a million uses and I haven't found much it's not good for yet! Most of my friends who are just starting to get into essential oils say that lavender is the first one they buy because it's not overly expensive, the smell is familiar and it's a "comfortable" oil to start with. Given it's popularity, I've rounded up some of the best, less common uses for it! Oh yeah, and I did a little research and found scientific studies that back up my claims on these genius uses for lavender. Just for all you science nerds and skeptics! I've underlined the scientific studies in case you want to jump right to those. You're welcome. 1) Apply it neat or diluted to help fade scars. "Neat" means the essential oil goes directly on the skin; diluted means you mix it with a carrier oil like coconut or grape seed oil. 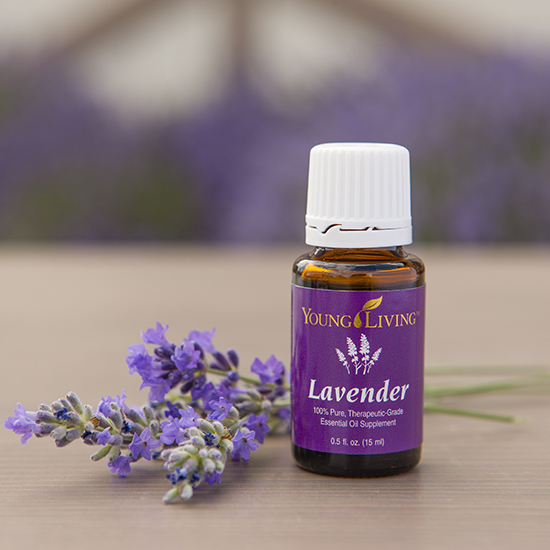 Lavender has amazing calming properties (see number two!) not just for your mood but for your skin too (see number 3!) It's great for reducing redness, puffiness or swelling associated with scar tissue. In fact, French scientist Rene Gattefosse was the first to discover lavender's ability to promote tissue regeneration and speed wound healing after he burned his own arm in 1910! 2) Make your own face wash. I have this DIY acne clearing face wash post that has worked wonders for me. In fact, I used some conventional face wash in the shower because I forgot to apply my blend before getting in, and not only was my face dry all day, but it broke out to boot. Hmmphhff! The lavender in the wash helps heal any former acne scars you have, too, as noted in number 1. 3) Make your own bath salts. I wrote this post on why soaking in bath salts is important, and gave you a super easy DIY to include lavender in your bath salt soak. If you haven't read that one, it's full of some great information and worth your time! There's some actual science based on the nutrition (or lack thereof) we eat and how that affects your health. Most importantly, the post gives you ideas on what you can do about it. 5) Use topically instead of popping pills for headaches. Have a nasty stress headache? Place a drop on each temple and behind the ears and watch it reduce your tension headaches just as well as any over the counter pain reliever. Don't believe me? 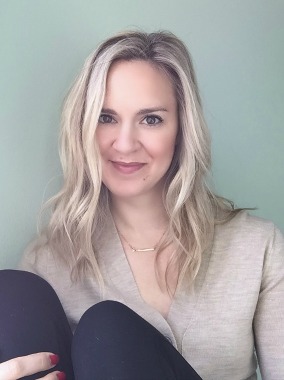 A placebo controlled, double blind crossover study out of Christian-Albrecht University in Kiel, Germany found that essential oils were just as effective in blocking pain from tension-type headaches as acetaminophen (aka Tylenol). Personally, I like the blend of lavender and peppermint when I'm having a headache. Works like a charm. 6) Apply it as a burn salve. Who burned her finger basting the turkey this Thanksgiving? This girl. I knew it was great for scars, and figured the calming properties of the plant would be helpful for a minor burn. I was right! I applied it neat to my burn site and two days later have no more irritation or red mark from the burn. Beauty bloggers/lovers, ever burned your finger or neck with a hot iron? Keep a bottle of lavender near your wands and curling irons! 7) Inhale or diffuse for a mental boost. Get this: University of Miami researchers found that inhalation of lavender increased the beta waves in the brain. What does that imply? That lavender can heighten relaxation and improve cognitive performance. In addition, an Osaka Kyoiku University study from 2001 found that lavender reduced mental stress and increased mental alertness. 8) Use it as a temper tantrum calmer. Whenever Henry is acting out, I pull out my lavender. As soon as I wave the bottle directly under his nose, he calms down. I'm not kidding! He sees me pull down the oils (that I store on the top of the fridge) and he now knows to inhale deeply as I pass it under his nose. Works like a charm, every single time. And number seven proves why. 9) Blend it with other essential oils for a nontoxic bug repellent spray. I've been to the North Woods of rural Wisconsin, lived in Minneapolis, lived in coastal Georgia and I can tell you this: No where and nobody has a nastier mosquito than Texas. They're not as large as in MN/WI but you can't hear them and you can't feel them bite you. All of a sudden, you're just COVERED in bites! Plus, they carry diseases like Zika and West Nile down here. Bottom line: I don't mess around with bug sprays! I need it to work. I need it to work so that my family stays healthy. This blend of essential oils, witch hazel and water worked great - just as good as a DEET-filled store bought brand. We keep bottles all over the house from March through November! 10) Sprinkle it on your pillow to battle insomnia. I apply 2-3 drops directly to my pillow case so that I inhale it all night long. Want further advice about essential oils and other products to support them? Check out my Products I Love page! 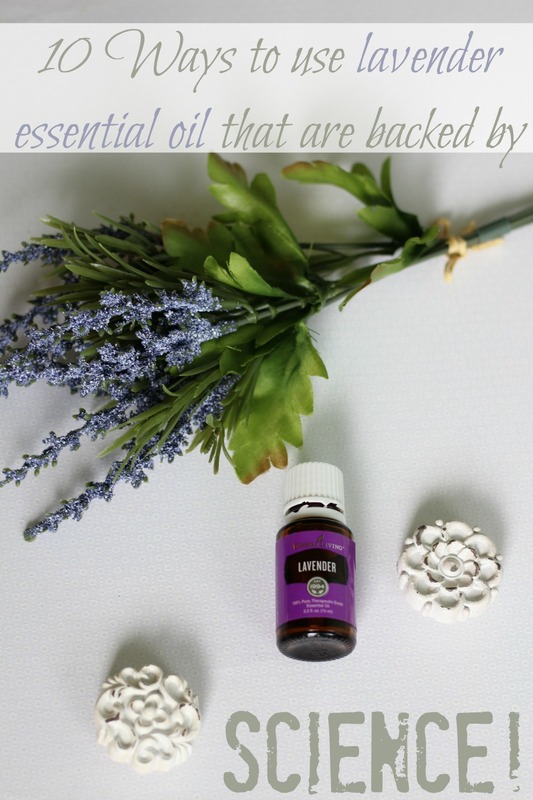 Can we all agree that lavender essential oil has some pretty amazing uses and benefits? And that it isn't just a bunch of new-agey hoo-ha? I hope you learned some new things and plan on incorporating this wonderful oil into your daily life. I'm going to try this the next time I have a headache (which for me seems to be weekly now that I'm pregnant). I only knew that peppermint helped, which it does, to some extent, but only for a short time. Definitely going to try lavender next time! I make my own face wash and lotion with lavender essential oil! Wait, what?!?! I can use my lavender oil for tantrums? WHAT?! I'm sooooo on this! I'm really glad you posted this and cited scientific research because that's where I think a lot of people miss the mark. Essential oils work and do amazing things... but they aren't miracle workers. They serve many purposes, but there's never a magic pill that does it all. I appreciate the research... but you already know that. #sciencenerd. I love my lavender oil. I ordered two extra bottles to have on hand to make sure I never run out! I have a car diffuser and lavender is constantly running in there to calm my mind down! I have always wondered how to use essential oils and now I know. I love the smell of lavender--I need to go order some now! I love using lavender. I would have never thought to put it on my pillowcase. So Clever! I've always smudged it under my nostrils and on the tip of my nose so that I can breathe it in to make me fall asleep faster. What a fab post! I love lavender. It really is relaxing and definitely helps heal scars and burns. I use it often when I hit my neck with the curling wand. Ouch! Lavender is my secret weapon! Using it on burns and scars is amazing! I had a brain fart one night when a woke up screaming about her ear and I applied Basil oil around her ear. Well I forgot to dilute it first, so it started to burn. Just a drop of Lavender calmed the burning right down. OH! Love the idea of adding it topically for headaches and/or on tummy for menstrual cramps. I never thought of just inhaling it straight haha. If I have a stressful day, I add a bit to my diffuser and it's amazing how much more relaxed and collected I feel. I REALLY enjoyed this post and would love to see it as a series! I saw this post a couple of days ago and tried using lavender oil topically for cramps. I think it helped a bit. It definitely helped my mood smelling the lovely scent! I love this! I have never tried using for a headache, but I'll keep it in mind for next time. 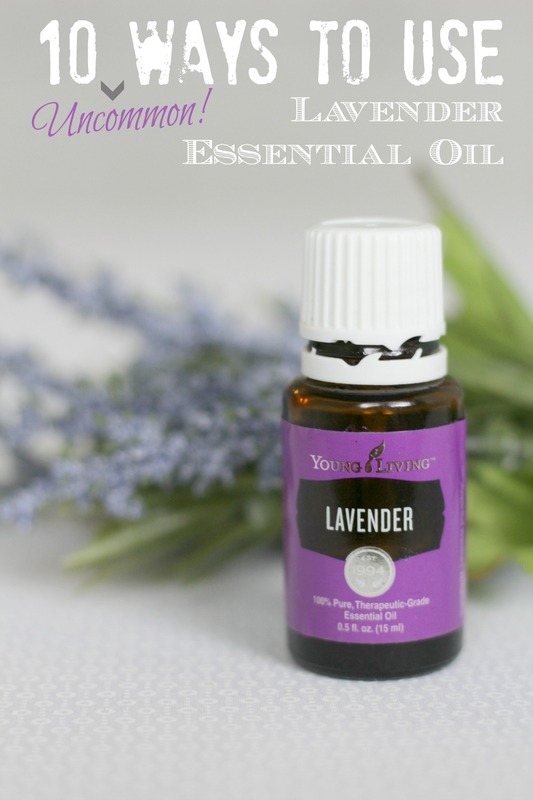 Right now from reading this post I put a few lavender drops in my diffuser, haha! Yessss, I do love lavender - it's my not so secret weapon in my burn salve. Unfortunately I had to use it on Ginny last week, but it's the quickest way to take the burn out, hands down.